I’m known in my family for fixing things, building and repurposing finds, painting furniture but not for baking. 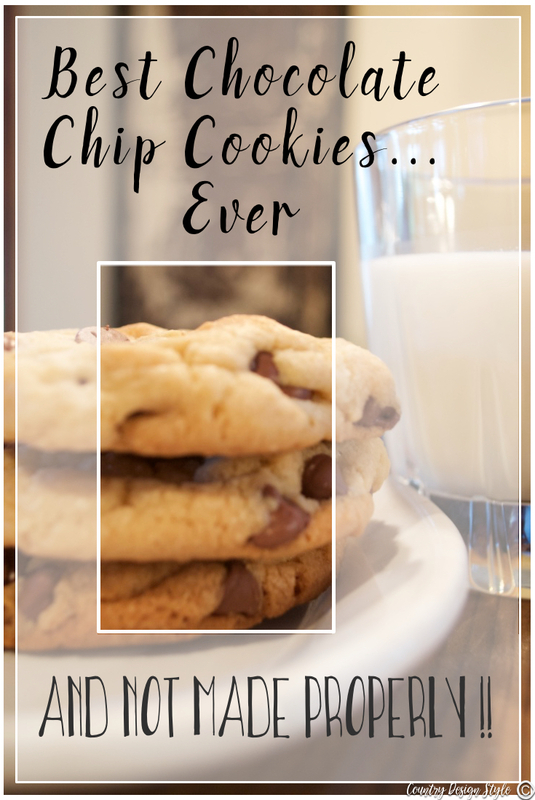 My family first started taking notice of my chocolate chip cookies when I was in my early twenties. I’ve been making them the same way since. My grandma also made amazing chocolate chip cookies. I wasn’t sure how she made hers but I kept tweaking my recipe until they were like grandmas. 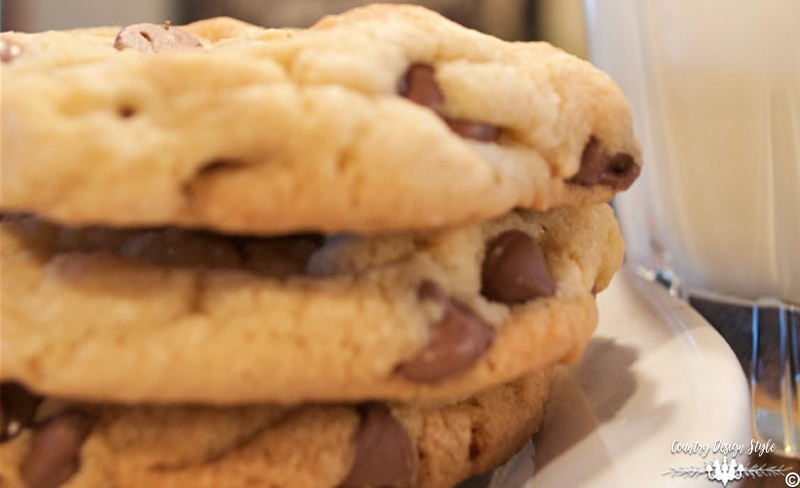 These cookies are soft and thick and yummy. Fire up the oven to preheat to 350°. 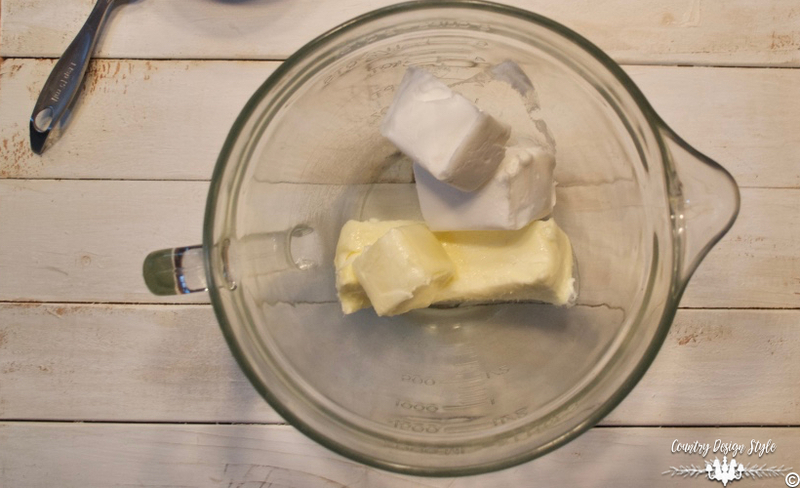 Start with 10 tablespoons of room temperature unsalted butter and 10 tablespoons of shortening. This is an area I tweaked several times until I got the cookies I wanted. 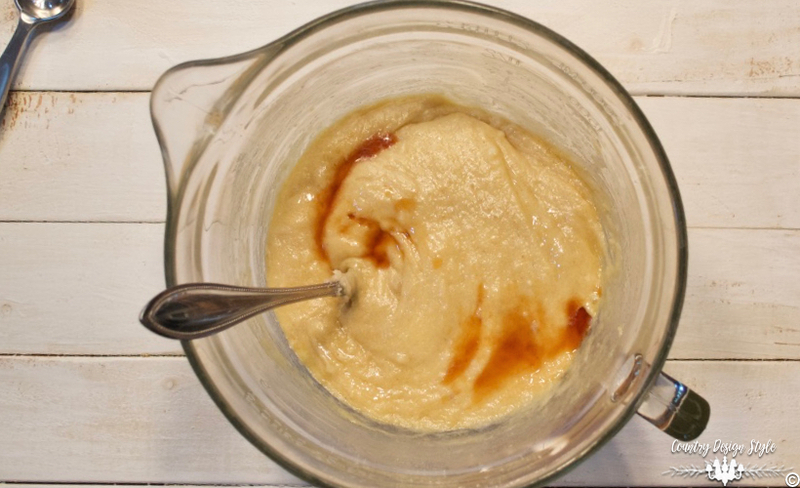 Next, add 1 cup sugar and 1 cup brown sugar. Notice the fork. Yep, I mix the cookies with a fork. I have a lovely stand mixer but my chocolate chip cookies are mixed with a fork. 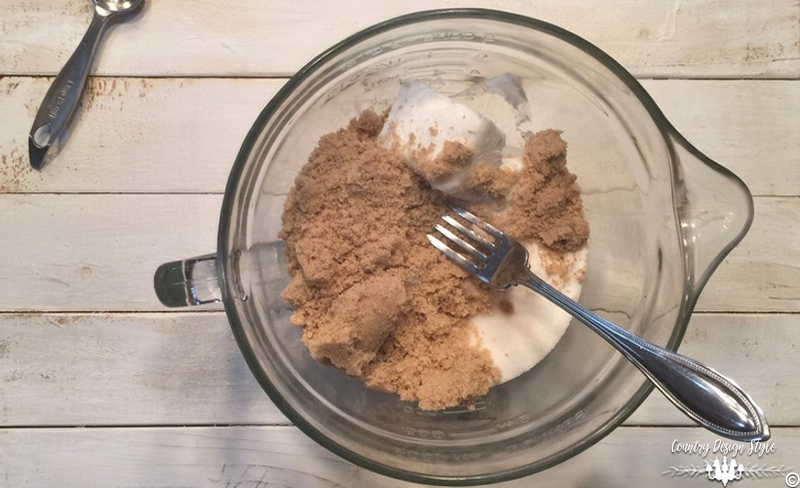 I started using a fork a long time ago to help break up the brown sugar…before I learn to keep a piece of clay in the brown sugar jar. 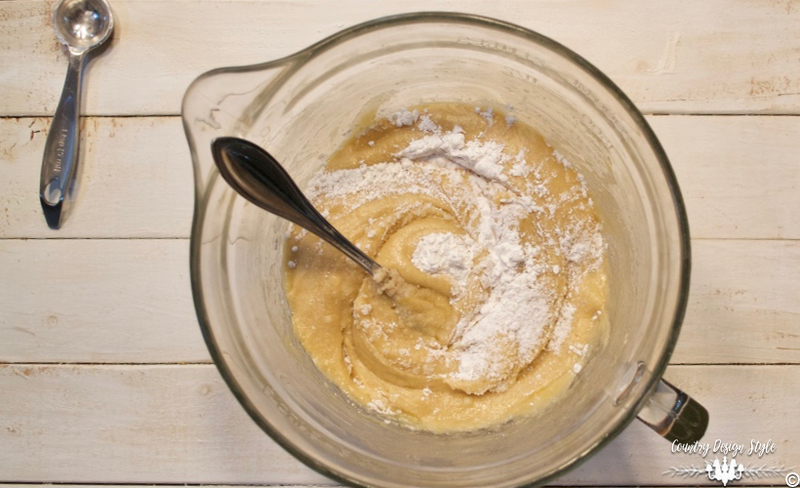 Cream and sugars with the butter and shortening. Add two teaspoons of vanilla. 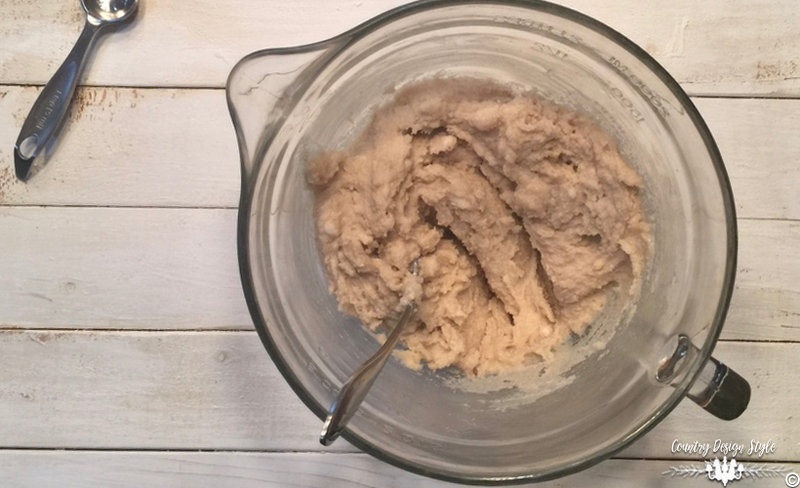 If you can splurge on real vanilla…you won’t regret it! 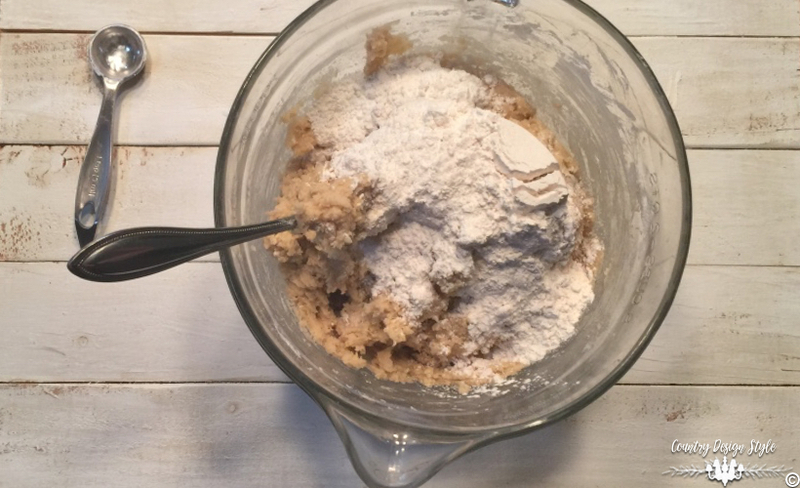 In most baking recipes the “proper” way is to mix the “dry” ingredients together. I don’t. I just dump 1 teaspoon of each of the next three ingredients in the bowl. Baking powder, salt, and baking powder. Then mix. 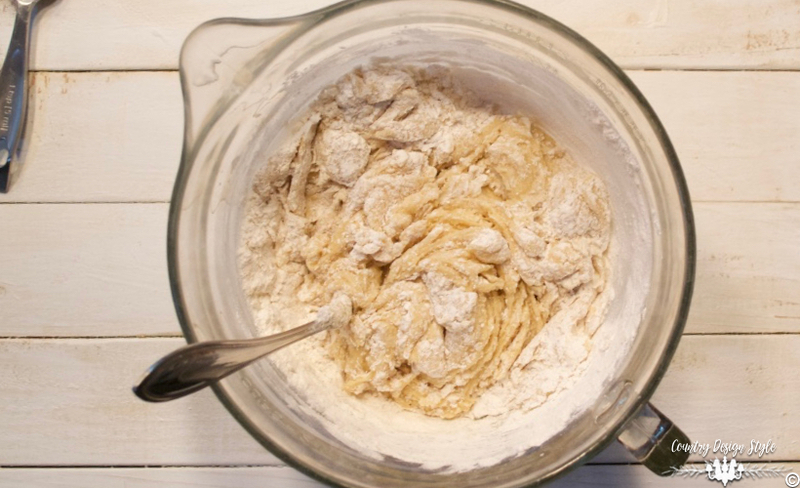 Next, start adding flour. I add 3 1/2 cups mixing between each cup. Then for extra measure, I add another 1/8 cup. The extra seems to keep the cookies from falling flat. Now it’s exercise time. Mix well. 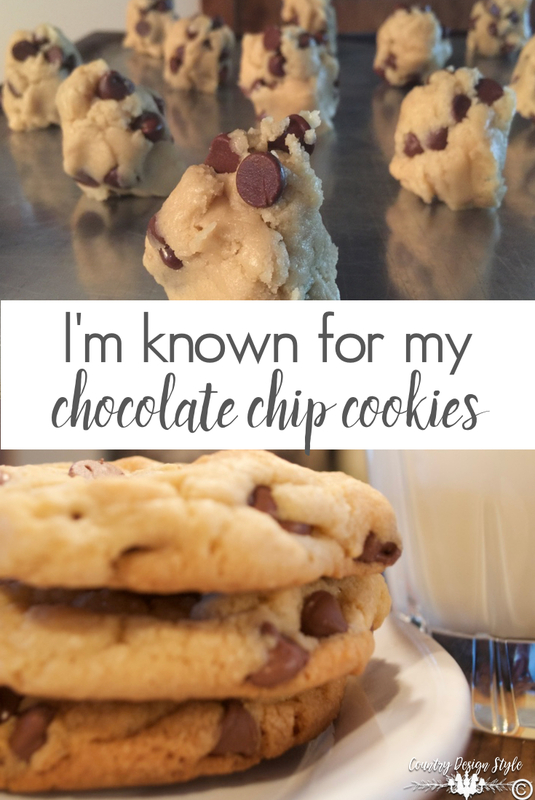 Add a 12 oz package of milk chocolate chips or your favorite chips. I like the smoothness of the milk chocolate in these cookies. By now the fork will have cookie dough up the handle! Yum! Time to lick the fork! By now the fork will have cookie dough up the handle! Yum! Time to lick the fork! 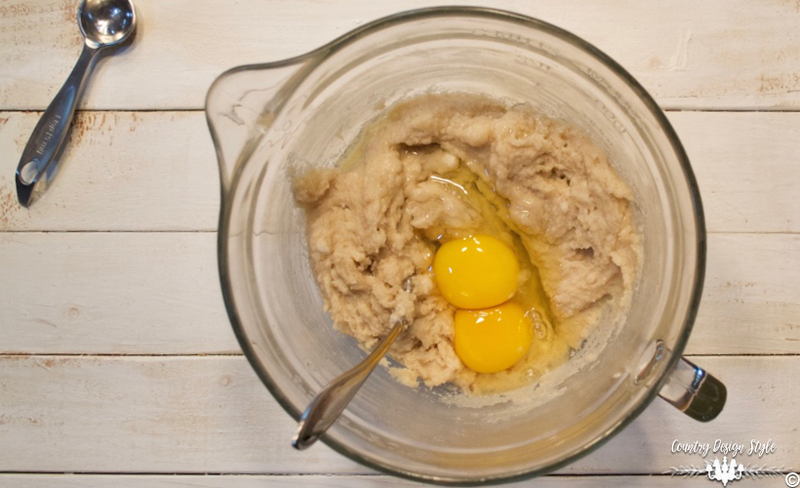 Using a tablespoon or small ice cream scoop (this go great with ice cream) gather dough and shape sorta like an egg. 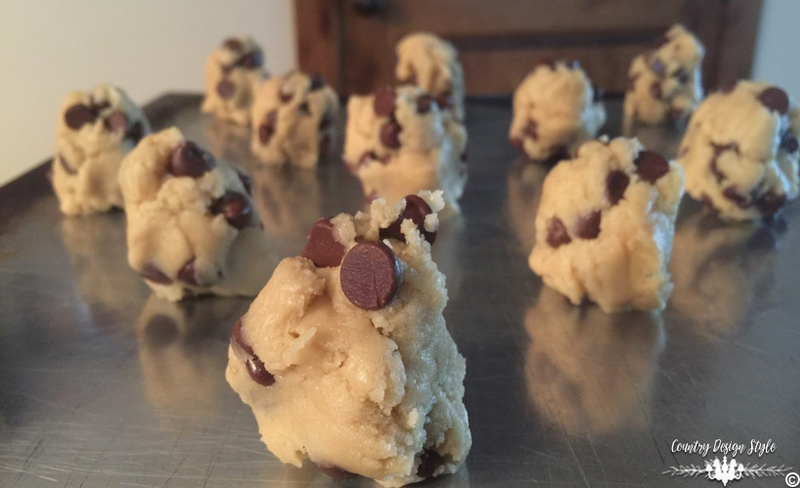 Stand the egg shaped cookie dough on ends. This also keeps the cookies from flattening out. 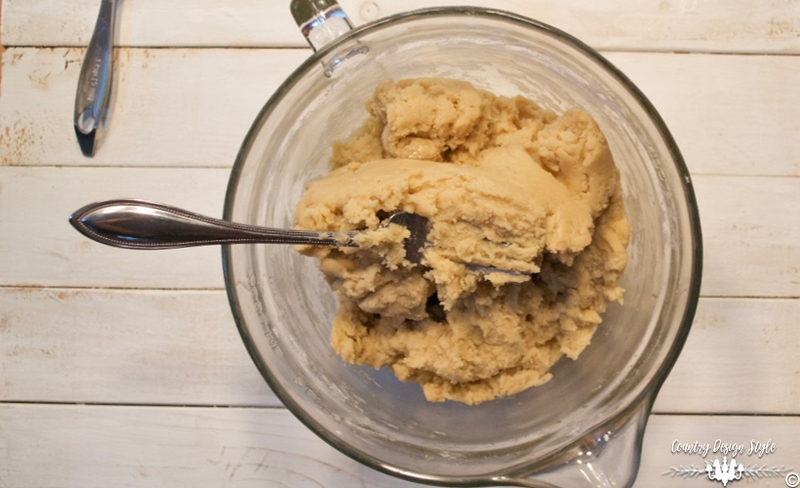 This recipe makes about 32 cookies. Bake for 15 to 18 minutes. Remove when slightly brown on the edges. Remove from baking sheet after they rest for about 1 to 2 minutes and transfer to cooling rack. I hope your family loves these as much as mine! Click to download a printable one-page recipe. Pop back over and let me know in comments how your friends and family like them. Hi Jeanette, here we are at 7500 ft altitude, i had try so many tips ( literally all of them) for hi altitudes but nothing worked for me..After 3 years trying different recipes my tip for hi altitud is ” add more flour” a lot more…I’m always scare of trying new recipes because baking is chalenging at this hi but yours really looks awsome !!! Lol, Linda! I forgot to tell you…I took the calories out! I wish that was possible! mmmm, I can’t wait to try your cookies. Look so good! Thank you, Cheryl! Come on over they’re still warm. As soon as I printed out the recipe it was like I could smell them baking! Lol Jean, I added chocolate chip cookie scent to the download! Heh, heh. 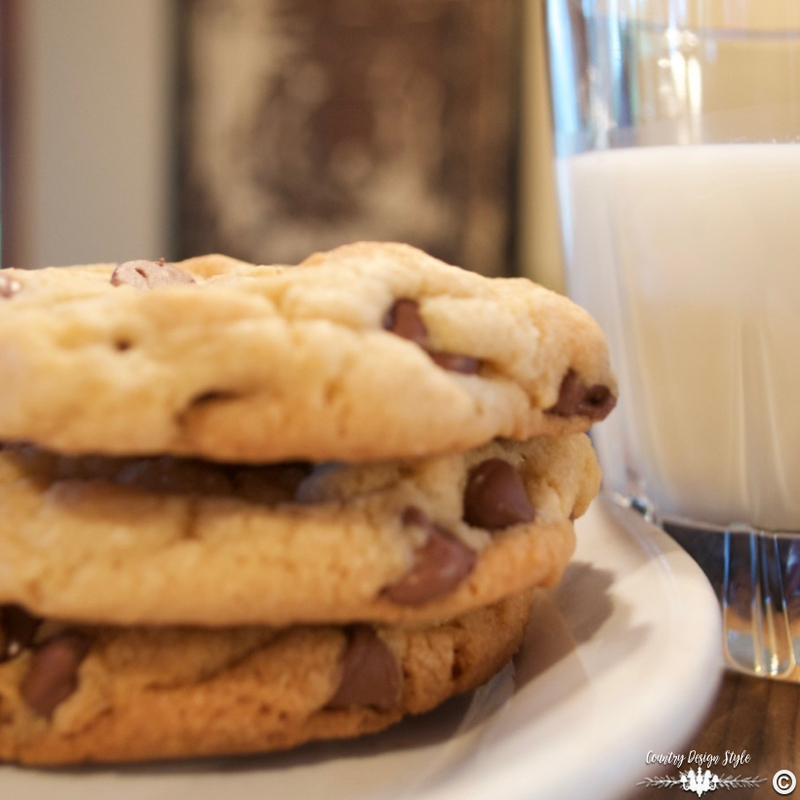 I’m coming to your house for the cookies…I’ll bring the milk!!! Have a great 4th of July my friend! Yeah!!! Yvonne, have a fun 4th too!